Over the previous month my personal life has been subject to considerable disruption. We have sold our home of the past eighteen years and, together with our menagerie of two dogs and three elderly chickens, moved and settled into a new house on the other side of town. Throughout the move, I have been working intermittently on the compilation of a book on global governance, ‘A country like New Zealand could save the world,’ to be composed of previous blogs on the subject. The consequence of my distraction has been a temporary failure to meet a self-inflicted deadline of one blog a fortnight. After my four-week break, I now return to the panorama of the global battlefield. For several weeks now, I have been gathering materials for a blog on the emergent conflict between the USA and China. This has the makings of developing into the coming decade’s most significant of the globe’s destabilising fault-lines. I am still gathering the materials and it may be several weeks before I feel I have sufficient understanding to write on the subject with any small degree of confidence. In the meantime and over the past month, there is no shortage of other developments to indicate the gathering momentum of the hand-cart to Hell in which we are all riding. Everywhere in Europe, from Italy to Hungary and from Poland to Spain we see the advance of populist, right-wing nationalism. One cannot help but fear that with the popularisation of national selfishness, as epitomised by attitudinal fashions set in the USA, the centrifugal forces that resulted in WWII, are once again winning the ascendancy over the centripetal forces that triumphed in the aftermath of that vastly destructive European civil war. It won’t take that much of a crisis to dismantle the whole painfully erected edifice of European cooperation on which so much of Europe’s current peace and prosperity has depended. 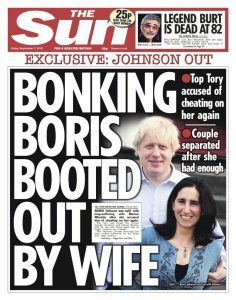 It will be interesting to see just how deep the inroads of national selfishness penetrate before the need for international cooperation reasserts itself. I am following two indicators of the possible future outcome of this struggle. Firstly, I am watching the tentative attempts of EU leaders to move away from their long-standing, but no longer comfortable alliance with the USA and its NATO front organisation. This will depend on their ability to make a realistic reappraisal of the military threat as actually posed by the conjured bogeyman threat from the East. Their will and ability to develop their own appropriate defensive policy and capability as a result of such an appraisal will be indicative of future division or coherence. The precursor to such developments is already evident in the EU’s open defiance of the USA’s instructions to conform with its aggressive economic sanctions on Iran. Having defied the global hegemon in this instance, how long will it be before sufficient courage is summoned to defy the USA over its similarly motivated sanctions against Russia? 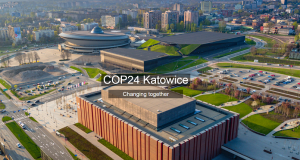 A second tell-tale will be the forthcoming COP24 meeting to be held in Katowice in Poland in December. COP is the annual Conference of the parties to the United Nations Framework Convention on Climate Change. As such, COP is the supreme body of the UNFCCC convention that emerged from the RIO Earth Summit of 1992. This year’s COP should provide a clear indicator of the extent to which countries are prepared to inflict economic hardship on themselves to prevent ‘dangerous’ human intervention with the globe’s climate. This is at a point of time when the USA, as the world’s leading polluter, has withdrawn from the Paris Accord and is led by a group determined to maximise the economic advantage it can gain from ignoring the risk to the climate and maximising the economic advantage to be taken from those nations not prepared to pretend it doesn’t exist. In the meantime, the past month has seen business as usual in the Middle East – rising tensions and increasing threat levels. The prospect of an immediate Russo-Syrian assault on the Idlib enclave has declined, as Erdogan has been given more time to build up the filters designed to prevent a mass emigration of jihadist terrorists through Turkey and into other European and Asian countries. The prospect now seems to be more for the whittling down of the enclave through salami tactics of pardons and political enticement, combined with limited military territorial encroachments, than for a massive kinetic onslaught. Despite the ‘now we are going; now we are reinforcing our position’ yo-yoing of US policy towards its military engagement in Syria, it would appear that the emphasis of US interest is shifting to its hoped for regime change in Iran and therefore, away from Syria to Iraq with its extended and permeable, contiguous Iranian border. In the meantime, Israel, in clear breach of international law, has continued its policy of bombing anything it claims is an Iranian military target on Syrian soil. To prevent this policy, to which Russia had been turning a blind eye, resulting in any accidental conflict, the two nations were exchanging information about their intended military operations. It would appear that last week, Israel failed to give timely notification to Russia of one of its bombing sorties. 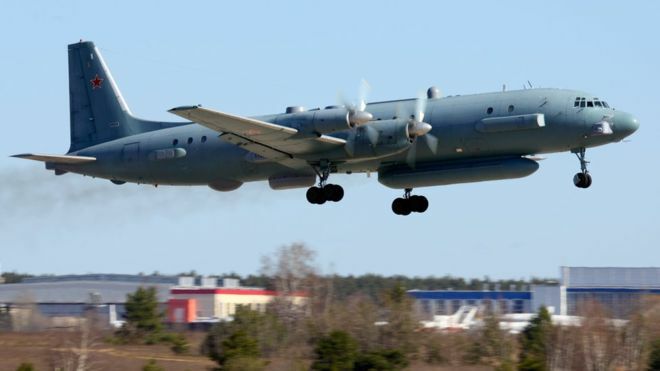 The Russians claim, that instead of giving adequate advance warning, the Israeli pilots sheltered in the shadow of a Russian reconnaissance flight in order to avoid attack from Syrian anti-aircraft missiles. Custard was spilled and fifteen Russian lives lost, when a Syrian anti-aircraft missile struck the unarmed Russian aircraft and fifteen Russian servicemen died. Also, in the past week, what would appear to have been the first clear ‘victory’ for the US/Saudi plan to terrorise the Iranian regime, using terrorists home-grown among Iran’s ethnic minorities, took place. 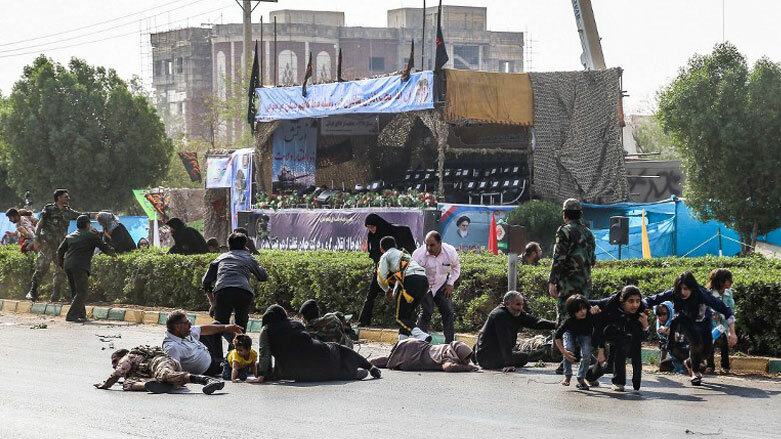 https://www.theguardian.com/world/2018/sep/22/elite-iranian-soldiers-killed-in-attack-on-military-parade-revolutionary-guard-ahvaz The extent of the justification, or otherwise, of US and Israeli optimism about the outcome of such valiant actions and the fondly imagined resultant, imminent downfall of the Iranian government will be the subject of another blog. 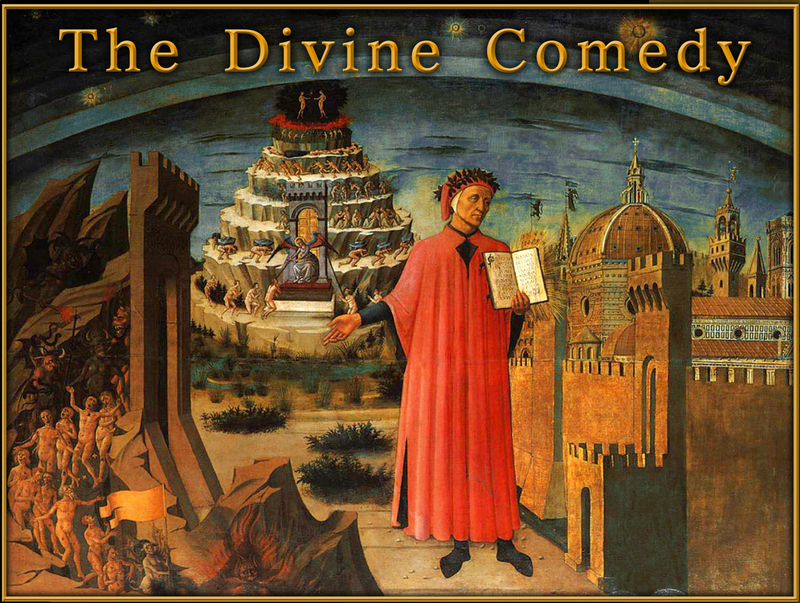 An initial understanding can be gained from this excellent commentary. https://lobelog.com/irans-ahvaz-attack-worsens-gulf-tensions/ My guess is that the overthrow of the revolutionary, theocratic regime in Tehran is going to be much harder than the optimists in Washington, Tel-Aviv and Riyadh currently imagine. Parallel to all the other ME activity, we have the heightening of the Trump/Netanyahu programme to eradicate Palestinian cultural identity and starve the population into acquiescence to Israel’s final solution for the Untermenschen. This accelerating programme will be the subject of a separate blog. This entry was posted in Global Governance, Middle East, West v East and tagged AfD v. Merkel, Ahvaz terrorist attack, Bonking Boris, BREXIT fiasco, COP24 indicators, Idlib postponed, Il-20 downed, Russo-Israeli relations.